Imagine a world where there are only two investment opportunities. You are first presented with a risk free investment opportunity; your capital is guaranteed, you have absolute faith in the counter party, and there is zero risk of default. This investment promises returns of n % per annum and you are tempted to invest. The second opportunity is a little more complex and a little more risky and in your opinion, there is a slight chance that the returns may not materialize. Now being the rational and intelligent investor, would you expect a lower or higher rate of return before you would even consider investing in the second scheme? Investopedia has this to say about the risk free rate of return. The theoretical rate of return of an investment with zero risk. The risk free rate is the minimum returns an investor would expect from an absolutely risk free investment over time. Of course in reality, the risk free rate does not exist because even the safest investments carry a small amount of risk. Governments of yesteryears were unbreakable and lenders of repute, and coupon rates on 3 month US treasury bills used to be a good approximation of the risk free rate. But with the woes of the Greek Government affecting the entire Eurozone and the US Government being closer to defaulting on their debt obligations day by day, that view is getting more and more suspicious. Closer to home, the fixed deposit rates of major banks and the yearly payouts of Singapore Government bonds tradable over SGX gives us a good indication of the risk free rate. Determining the actual risk free rate is not important for us now. What is crucial is the understanding that for anyone to even consider investing their money in any instrument other than the safest one available, one must benchmark the expected rate of returns against the assumed risk free rate. Anything lesser, the investor would be better off putting the money in a fixed deposit account. Now, transplant the entire logic to the measurement of time and effort expended in managing your investments. Imagine a world where there are only two investment opportunities. You are first presented with a time and effort free investment opportunity; you do not need to read annual reports, there is no need to spend your weekend attending courses and mastering complicated technical analysis softwares, and you are free to spend time with your family and to pursue your other interests. The decision making is taken out of your hands and it is an entirely stress free investment project. This investment promises returns of n % per annum and you are tempted to invest. The second opportunity is a little more complex, requires you to read widely and be constantly in tuned with the market. You are expected to make decisions on a day to day basis and your returns is an indication of the quality and timeliness of your decisions. Now being the rational and intelligent investor, would you expect a lower or higher rate of return before you would even consider investing in the second scheme? Investopedia does not have anything to say about the Effort Free Rate of returns because you heard it here from BigFatPurse first. Of course, one might argue that it is impossible to invest with zero effort and zero decision making involved. Whether or not to invest is a decision in itself. For that I concede. Just like the risk free rate assumes minimal residual risk, the Effort Free Rate assumes minimal residual effort. But unlike the RFR, determining the EFR is crucial for us now. If you are expected to spend your evenings and weekends pouring over annual reports and stocks charts when you could been watching tv or playing golf, you would expect nothing less than the EFR, else you might as well as spend time on other interests. 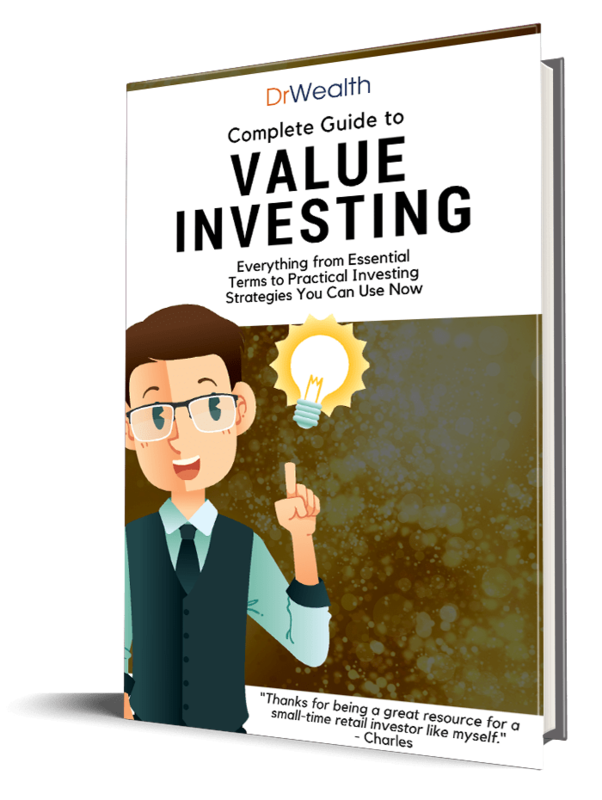 In fact, the delta between the EFR and your expected returns from the second investment opportunity had better be great, for otherwise, you would just throw in the towel and declare that it is not worth your while, and you would be happier off investing in the Effort Free Investment. Benchmarking is crucial. So what exactly is an EFI and the EFR? Here at BigFatPurse we are feeling extremely generous because the Lunar New Year and the long weekend is just three days away, so we will give you not one but two EFIs. First up. The Straits Times Index. According to an article published by SGX two days ago, taking into account dividends, the STI has returned 12.7% over the past 10 years. Over the last 10 years, the STI has moved from 1,291.61* on 31 January 2003 to 3,291.14 on Friday 1 February 2013. Over the ten year period, this represents an average annualised price gain of +9.8%. Over the period, the STI constituents have paid shareholders regular dividends. Dividends provide the means for corporate profits or trust distributions to be given to the stock or trust holder on a regular basis. Dividends have boosted the +9.8% average annualised price return to a +12.7% average annualised total return. In other words, simply buying and holding the 30 component stocks in the index and would yield returns of close to 10%. Dividends would boost the returns by another notch to hit a healthy 12.7% compounded. Of course, buying all 30 companies at one time may not work for everyone due to the huge capital outlay involved. That was not the intent. There is a much more elegant way, and that is to purchase into the STI Exchange Traded Fund (ETF). Your Effort Free Investment strategy consist of purchasing the STI ETF and leaving it untouched for 10 years, and the transaction is as painless as purchasing an individual counter through your broker. Next up, the Permanent Portfolio. Imagine the entire investing universe to consist of only four asset classes. At any one time, depending on the stage of the economic cycle we are at, money has to and will flow to the most attractive class at that time. During prosperity people will invest in stocks, in times of inflation, commodities would do well. A deflationary environment would see bonds outperforming the rest while in a recession, cash is king. Unfortunately we are all lousy forecasters. (Yes! the sooner we all recognize this fact the better) None of us are able to tell with certainty when the cycle would change and what would the next phase herald, so the best thing for us to do is to split our investment equally into quarters and park them in each asset class. Again, the effort required is minimal. The strategy is to make the initial purchase and again leave it to its devices for an extended period of time. With the right broker to execute your orders, you can easily purchase all four assets via one platform. There is no need to time your orders, and rebalancing is only required yearly and there is no requirement to monitor it constantly. The returns are consistent and a Singapore based Permanent Portfolio would have clocked 9% compounded over the past 10 years. Regular readers would have noticed that we have been promoting the PP valiantly. This is because we sincerely believe that with its steady returns and low drawdowns, it is a vehicle very well suited to the majority of investors. So there, we have just identified two Effort Free Investments which has produced consistent returns of over 9% compounded. With that, we will be able to safely set the Effort Free Rate to be 9%. The risk associated with an investment is not easily quantifiable but the time and effort required to make it work is much more obvious. The next time you are tempted to invest, benchmark the investment opportunity against the Effort Free Rate of 9% first. To investing in anything less that that and still require effort on your part is a crime. Fortunately in investing, less (effort) is often more. Most people ignore the elephant in the room – which is do they add value? Nice article that addresses this issue. The truth is: How many investors track their performance? If they don’t track their performance – and don’t know their performance – how do they know they are making less than the 9% p.a.? I can tell you that I have not seen a stock analyst out there (whether from the brokerage or buy-side, track their performance properly) !!! Hi Eric, thanks for shining the spotlight on the elephant! There is a problem with the STI as an EFI. The problem is that the STI component stocks change over time. Some stocks become lousy (or lose liquidity) and are kicked out of the Index, and are replaced by others. So if today I were to buy each of the 30 component stocks, there is no guarantee that in 5-10 years time those 30 would be the same component stocks of the STI in 2018 to 2023. In fact in 2001, the STI consisted of 45 stocks. Some of the names include Datacraft, Elec and Eltek, Hotung, Natsteel, Total Access Communications, and Want Want. Where are they now man?